Teens are put to the distracted driving test. (CNN) - Car accidents are the number-one cause of death for teenagers. And 25 percent of all teen driving crashes are due to distracted driving. Since April is National Distracted Driving Awareness Month, events are being held all over the country to try and focus teens behind the wheel. Spray and her 19-year-old daughter Amanda were trading text messages about a fight Amanda was having with her roommate. Spray now goes to high schools to share her daughter's story and talk about the dangers of distracted driving. 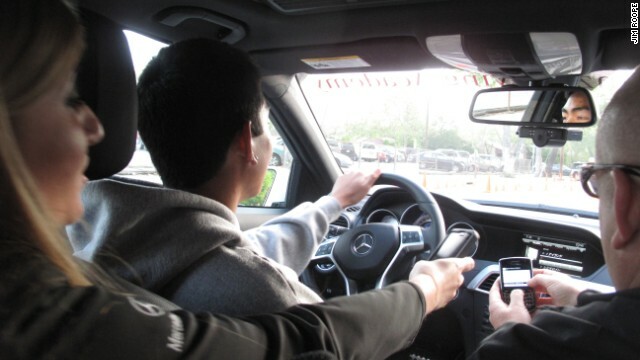 Outside John Burroughs High School in Burbank, California, teen volunteers get set to take the distracted driving challenge; an obstacle course that’s more about the distractions inside the car than those outside it. April 22, 2013, Medford, Massachusetts. 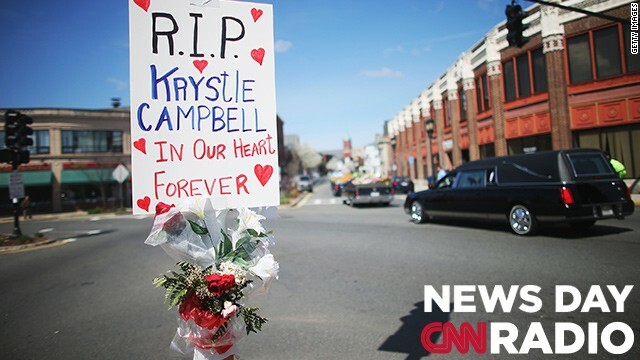 The funeral procession passes a sign for 29-year-old Krystle Campbell, who was one of three people killed in the Boston Marathon bombings. 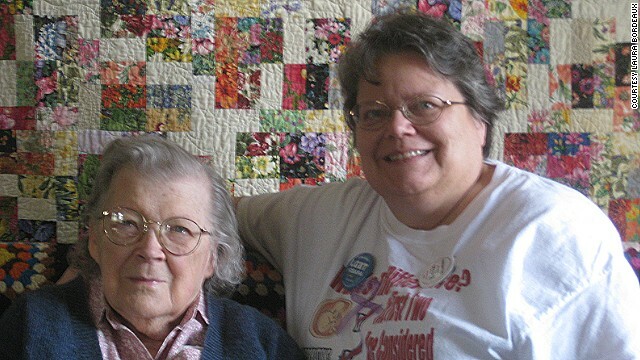 Peggy Casey and her mother Marguerite Stentz at their home in suburban Atlanta. Three years ago Peggy Casey found herself in a situation that's increasingly common in the United States. She needed to sort out elder care for her mother. So Casey went hunting for options. She found an assisted living home that she thought would do nicely. [:46] "My idea was I'll pluck her out of this home that has all these problems and I'll put her down in this gorgeous place full of luxury and of course she didn't see it that way at all." [:57] " I would have hated it. I would have had my own little apartment upstairs and I'm not a people person. It would have been unbearable."